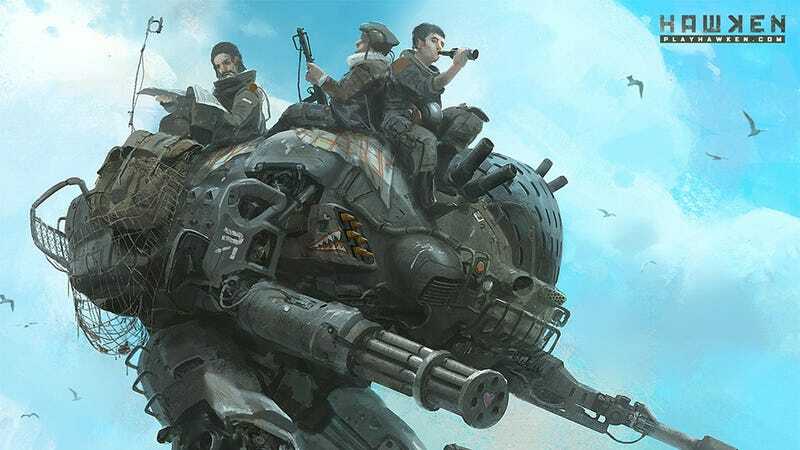 Like almost every other game set in the future, multiplayer mech shooter Hawken looks bleak. Pollution, dark skies, it just seems a generally unpleasant place to spend any amount of time. Some days, though, the clouds part. The shooting stops. And hardened futuristic science warriors can kick back, have a beer and read the funny pages of the Despairing Future War Herald. The piece is by Hawken artist Khang Le. You can see more of Khang's work in this feature we did on his art back in June, or on his CGHub portfolio.